A song about absolute, inconsolable despair on a 16th century poem by Philippe Desportes. 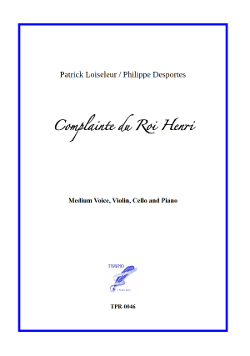 for Baritone, Violin, Cello and Piano. Written for the french baritone L'Oiseleur des Lonchamps who premiered this song in 2012. Et d’oiseaux de la mort.